We believe that the People's Bank of China will not adopt a quantitative easing policy at present. First of all, quantitative easing is a crisis response policy rather than a conventional policy, and there are certain limitations and risks. The core of China's financial system is banks. The main source of social financing is bank loans. The solution to financing problems should be based on bank credit. In the non-standard contraction environment, this is especially true for private and small and micro enterprises. Under the premise that the interest rate instrument is still valid, it is often preferred to use interest rate instruments instead of quantitative easing, which is also in line with the central bank's general direction of shifting from quantity control to price regulation. incurrencyAgainst the background of poor policy transmission and sustained credit contraction, many people believe that the central bank will open quantitative easing. We believe that the central bank will not embark on the path of quantitative easing. Under the premise that the price tool is still effective, the central bank is more inclined to use structured (directed RRR reduction, replacement of MLF, etc. ), price instruments (such as interest rate cuts), and macro-prudential policies to alleviate the financing problems of private and small and micro enterprises. But it's worth noting that, given the accumulation of debt, we suspect that the central bank may launch aggressive metering tools in the future (such as the recent launch of CBS tools, and other projects that were “surprisingly” in December) to ease the top of the debt cycle. fluctuation. Quantitative easing is an unconventional means after the failure of conventional monetary policy.Quantitative easing refers to the centralbankThe unconventional monetary policy implemented involving large-scale asset purchases essentially shifts the operational target from price to quantity after the price instrument fails. wheninterest rateDown to zero or near zerointerest rateLater, the monetary authorities stimulated the entity out of recession and deflation by greatly expanding the balance sheet, increasing the supply of the base money by purchasing assets, injecting a large amount of liquidity into the market, restoring financial market functions, and encouraging private sector spending and lending. .
Quantitative easing mainly works through two mechanisms, one is the portfolio rebalance mechanism, and the other is the bank.CreditThe mechanism affects financial markets from asset prices and bank liquidity, respectively.The portfolio rebalance mechanism firstly reduces the long-term interest rate of institutional investors and the rise of asset prices, which ultimately affects the real economy. The bank credit mechanism stimulates credit business by maintaining sufficient or even excess liquidity of banks. Judging from the practice of major economies, quantitative easing plays a significant role in reducing the yield of corporate bonds, corporate bonds, narrowing the spreads of maturities, and increasing the price of assets and the total demand of the real economy. We believe that the People's Bank of China will not adopt a quantitative easing policy at present.First of all, quantitative easing is a crisis response policy rather than a conventional policy, and there are certain limitations and risks. The core of China's financial system is banks. The main source of social financing is bank loans. The solution to financing problems should be based on bank credit. In the non-standard contraction environment, this is especially true for private and small and micro enterprises. Under the premise that the interest rate instrument is still valid, it is often preferred to use interest rate instruments instead of quantitative easing, which is also in line with the central bank's general direction of shifting from quantity control to price regulation. A rate cut may be the next stage of policy choice.Continuously optimize macro-prudential, strengthen counter-cyclical adjustment, and use communication mechanism to spread communication mechanisms. These are the directions of future monetary policy. 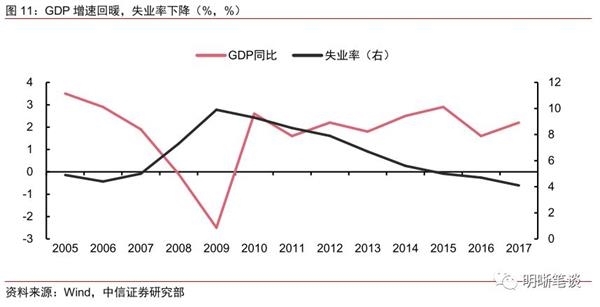 At present, the economic growth rate is lower, resulting in lower real interest rates, while the actual financing costs of enterprises are still high, and the actual interest rate differential of the real economy is narrowing. It is necessary to directly reduce the financing costs by means of interest rate cuts. From the perspective of the debt cycle, as debt continues to accumulate, future expansion instruments may be needed to mitigate fluctuations at the top of the debt cycle. In general, RRR cuts, interest rate cuts, and loose regulation may be the order of this round of monetary policy. After three steps, the QE policy will be considered. For the bond market,Under the background of weakening economic demand and increasing industrial deflation risks, it is difficult to solve the financing problems of private and SMEs by means of quantitative control alone. The US economy has entered a high-level adjustment. Powell’s dovish statement also indicates that the Fed’s interest rate hike cycle is coming to an end, and the interest rate cut of China’s monetary policy will gradually open. Under the premise that the financial strength is still controversial, the downward trend of interest rates is still not over. The 10-year national debt breaks 3% is still the first target of this round. Since last year, the central bank has released a large amount of funds to the banking system through multiple RRR cuts, MLF and TMLF operations, in order to solve the problem of credit contraction and corporate financing. Against the background of poor monetary policy transmission and sustained credit contraction, many people believe that the central bank will open quantitative easing (QE) and discuss the specific ways in which the central bank will implement quantitative easing in the future, including through the purchase of government bonds and the purchase of stocks.ETFAnd other means. 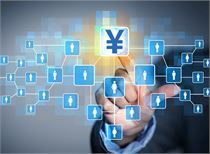 The central bank also responded to hot issues such as monetary policy transmission, QE (quantitative easing), new asset management regulations, and interest rate liberalization before the Spring Festival. This paper will deeply analyze the implementation background, operation mode, transmission mechanism, financial and economic impacts and potential risks of QE policies in major economies, and on this basis, explore the possibility and possible path of China's current and future implementation of QE policies. Before the subprime mortgage crisis, maintaining moderate inflation was a widely recognized monetary policy goal. The specific mode of operation was to adjust the market interest rate through short-term policy interest rates, which in turn affected the real economy. Under this framework, the central bank can roughly adjust the inflation gap and output gap by using the “Taylor Rule” as a reference. These expected conventional monetary policies have worked very well in controlling inflation. However, the past monetary policy did not have macro-prudential considerations, which caused the conventional monetary policy framework to be powerless to the emergence and destruction of asset bubbles. Once the bubble burst, the solvency of banks and debtors declined significantly, and policies based on credit were established. The link between interest rates and market interest rates has also been cut off, conventional monetary policy has failed, and the central bank has had to find other ways to intervene in financial markets. Quantitative Easing (QE) refers to the unconventional monetary policy implemented by the central bank involving large-scale asset purchases. It essentially shifts the operational target from price to quantity after the price instrument fails.When the interest rate is lowered to zero or near zero interest rate, the space for further downward adjustment is very limited, and the conventional price-based monetary policy tool is invalid. The monetary authorities have greatly expanded their balance sheets and significantly increased the supply of basic money by purchasing assets such as treasury bonds, corporate bonds, and asset-backed securities, injecting a large amount of liquidity into the market, restoring financial market functions, and encouraging private sector spending and lending. Stimulate entities out of recession and deflation. The Bank of Japan first implemented quantitative easing in 2001 with the aim of getting the economy out of deflation and liquidity traps.In the early 1990s, the Japanese asset bubble burst, stocks,real estatePrices have fallen sharply, and the Japanese economy has subsequently fallen into a long-term stagnation. The Bank of Japan gradually lowered the discount rate from 6% to 0. The Japanese economy temporarily stabilized, but it entered the recession again after the 1997 East Asian financial crisis. In order to get the economy out of deflation and liquidity traps, the Bank of Japan announced in March 2001 to implement quantitative easing, shifting the monetary policy's intermediate target from interest rate to the central bank's reserve account balance, and continuously purchasing long-term treasury bonds and other assets according to the target. This policy will be maintained until prices return to positive growth. The widespread application of quantitative easing began in the subprime mortgage crisis. Countries have adopted quantitative easing policies in order to get out of the recession as soon as possible and minimize the impact of the crisis. In August 2007, the subprime mortgage crisis swept through the major developed countries and eventually evolved into a global financial crisis in a hundred years. After the crisis, the world's major economies adopted an expansionary monetary policy response, quickly lowered policy interest rates, and adopted quantitative easing after interest rates reached the “zero interest rate floor”, implementing unconventional monetary policies that directly injected large amounts of liquidity into financial markets. The purpose is to stabilize the financial market, repair market functions, and ensure that the economy stabilizes and recovers. In view of the post-production effect, the unconventional monetary policy represented by QE has significant effects in dealing with the financial crisis, rebuilding market confidence, and repairing the credit transmission mechanism. After the implementation of the quantitative easing policy, the economic performance of the countries is not the same, the US remains strong after the recovery, while the growth of Japan and the Eurozone is slow. Despite the worst financial crisis since the Great Depression, the US economic recession only lasted for 18 months, and it rebounded strongly after hitting the bottom in June 2009. The Fed withdrew from quantitative easing in 2014 and entered the interest rate hike cycle in December 2016. The euro zone suffered a double blow from the financial crisis and the sovereign debt crisis, and began a slow recovery after 2013. Japan’s economic recovery is even weaker, and the economy is on the verge of deflation. The heterogeneity results brought by quantitative easing show that the effect and feasibility of quantitative easing are closely related to the economic conditions of each country. To explore the feasibility of quantitative easing in China, it is necessary to analyze the economic conditions of China. As a successful case of quantitative easing, the Fed's quantitative easing process is simple and effective. The underlying reason is the steady growth of the real economy, the market clearing and structural adjustment after the crisis, the re-allocation of production factors, and the relatively high quality of economic recovery. After ensuring that the economy is on the right track, the Fed has withdrawn from quantitative easing, reopened its conventional monetary policy, and retained its ability to use quantitative easing again. In contrast, the quantitative easing process in Japan and the Eurozone is more difficult and tortuous, let us see that quantitative easing is not a panacea for curing the economy. Especially in Japan, from the bursting of the bubble in the early 1990s, it has suffered tremendous deflationary pressures, and it is also difficult to interpret the process of monetary policy failure-innovation-re-invalidation. Just as zero interest rates are the end of conventional monetary policy, a zero-end interest rate drop to zero may also be the end of quantitative easing. In this part, we only list the process of quantitative easing by the Federal Reserve. Japan's more complicated QE process is included in the appendix at the end of the article for your reference. The Fed quickly cut interest rates to near zero interest rates, and the conventional monetary policy failed.From September 2007 to December 2008, the Federal Reserve cut interest rates nine times, the federalfundThe interest rate was lowered by 500bp to 0.25%, and the credit market risk premium did not return to normal. The TED spread (LIBOR 3M and T-Bill 3M spread) rose rapidly in September 2008, and the highest in October was over 450bp, much higher than the 50bp before the crisis. The spread of interest spreads means that the risk appetite of inter-bank credits declines, interbankBorrowingThe market is cold. Corresponding to this,Bank of AmericaThe overall excess reserve level has risen sharply, and banks prefer to hold too much surplus reserves and are not willing to take out funds. After the crisis, the Fed quickly opened quantitative easing, minimizing the extent of the crisis's damage to the economy. The Fed’s quantitative easing mainly includes:Three large-scale asset purchases (LSAP), which is known as QE1, QE2, QE3;Maturity Extension Program (MEP)That is, the distortion of the sale of short-term national debt and the purchase of long-term national debt. The purpose of QE1 is to provide liquidity support directly to financial institutions and companies.Since November 2008, the Fed has purchased Freddie Mac, Fannie Mae, Geely's $100 billion in debt and $500 billion in mortgage-backed securities. During this period, the Federal Reserve continued to introduce innovative policy tools represented by the Regular Auction Facilitation (TAF) and Money Market Mutual Fund Liquidity Tools (AMLF). The assets formed by these tools accounted for 70% of the central bank's total assets, which injected a lot of liquidity into the market. The purpose of QE2 is to solve the US government financial crisis by increasing the base money.In November 2010, the Fed increased its purchase of long-term Treasury bonds by US$600 billion and maintained a reinvestment policy, translating the maturing institutional bonds and mortgage-backed securities purchased by QE1 into long-term government bonds. The Extension Plan (MEP) was announced in September 2011 to reduce downward pressure on long-term interest rates and reduce long-term financing costs. The specific operation is that the Fed purchases 400 billion US dollars of medium- and long-term (6-30 years) treasury bonds and sells short-term (1-3 years) treasury bonds of the same value. In June 2012, the operation volume was expanded to 667 billion US dollars. Unlike the asset purchase program, the rollover plan does not cause changes in the size of the Fed's balance sheet, but rather lengthens the Fed's portfolio and shortens the asset portfolio's portfolio duration. The rollover plan is essentially the Fed's control of the yield curve. The purpose of QE3 is to maintain the stability and continuity of monetary policy, which is equivalent to the asset purchase plan that expires before the continuation, forming a stable expectation of the private sector.Starting in September 2012, QE3 will purchase $40 billion in mortgage-backed securities on a monthly basis. Since December 2012, an additional $45 billion in government bonds has been purchased each month. Quantitative easing has indeed achieved good results in reducing the yield of government bonds, corporate bonds and narrowing the spreads.From the practice in the United States, QE1 has reduced the overall yield of government bonds and MBS by about 100bp, which has reduced the yield of federal institutional bonds by more than 150bp. The extension plan will probably reduce the 10-year government bond interest rate by 30-40bp. The impact of QE2 and QE3 is relatively small. At the same time, the research shows that the Fed's entire process of quantitative easing reduces the 10-year maturity spread by about 150 bp, which makes the yield curve flatten. In the real economy, quantitative easing reduces the unemployment rate and makesGDPThe growth rate is getting warmer.Because of the large number of variables affecting the real economy, it is relatively difficult to separate the quantitative easing from the effect of “no quantitative easing”. Most studies have shown that quantitative easing affects the unemployment rate around -1%. Regarding the impact on GDP, some studies suggest that QE1 will reduce the GDP contraction by 3.5%, and QE2 and QE3 are 1% and 0.4%, respectively. Quantitative easing is best when financial markets are in crisis.Judging from the quantitative easing experience of the three economies in the US, Japan and Europe, the effect of the first round of quantitative easing is often better than the subsequent rounds, even if the subsequent rounds of operations are greater than the first round. One explanation is that market segmentation is often more pronounced in times of crisis, and quantitative easing is the way to play it. This mechanism will be elaborated in the next section. Another reasonable explanation is that the first round of quantitative easing often occurs when financial markets are most in crisis and are more than expected. Subsequent rounds of operations can be better anticipated or have been covered by forward-looking guidance, so the impact is relatively small. Unconventional monetary policies, including quantitative easing, have had limited effectiveness in a continuing deflationary environment.This experience is more inferred from the performance of the Japanese economy. The essential reason is monetary neutrality. Although nominal variables can affect actual variables in the short term, it is difficult for nominal variables to reverse the long-term trend of actual variables due to the existence of rational expectations. The Japanese economy has peaked from the mid-1990s. The fundamental reason is that its industrial structure and economic system are no longer adapted to the changes in the business model of the new era. The manufacturing industry that once dominated the world has gradually lost its competition with China. Corporate profits have fallen sharply. Under such an economic background, relying on loose monetary policy alone cannot reverse the trend of the real economic recession. More is to increase the loose expectations of the people and form a path dependence on quantitative easing. The effectiveness of the quantitative easing policy depends on the credit and policy influence of the central bank.From the experience of the United States and Japan, most of the Fed's targets in quantitative easing are effective, and the Japanese government's forward-looking guidance has not been achieved, including the previous 1% inflation target and the subsequent 2% target. This to some extent makes investors doubt the ability and intention of the Bank of Japan. From the economic theory point of view, for the government, the monetary policy with credit may not be as short-term as the camera's strategy of formulating policies, but it is worse than the camera choice strategy in the long run. Because the camera's choice strategy will cause people to lose confidence in the government and cause confusion, and finally achieve a sub-optimal Nash equilibrium. The choice of purchasing assets depends on the situation, and national debt is the first choice.If you only buy government bonds to reduce bond yields, increase asset prices, and stabilize financial markets, then there is no need to buy other assets. However, we have seen in practice that the Fed has purchased MBS because it is necessary to solve the problems of the financial market in the United States at that time. Once this is done, the central bank may encounter some thorny issues, such as the Fed may need to modify the Fed regulations, or explain to the public why it is helping these assets alone. In contrast, the operation of the handling of national debt as a common means of national monetary policy tools is rarely controversial. Former Federal Reserve Chairman Ben Bernanke once commented: "Quantitative easing has no effect in theory, but it is effective in practice." In a financial market where there is no friction in theory, under the premise of free flow of all assets, the large-scale purchase of government bonds by the central bank will only change the asset mix of the market and arbitrageurs, and will not have any effect on bond yields. However, in practice, financial markets are segmented. Specific investors tend to buy certain types of securities. When the central bank purchases a certain type of securities in large quantities, it will lead to a decrease in the supply of such securities, resulting in a decline in the yield. rise. Quantitative easing mainly works through two mechanisms: one is the portfolio rebalance mechanism, and the other is the bank credit mechanism, which affects the financial market from asset prices and bank liquidity.The portfolio rebalance mechanism firstly reduces the long-term interest rate of institutional investors and the rise of asset prices, which ultimately affects the real economy. The bank credit mechanism stimulates credit business by maintaining sufficient or even excess liquidity of banks. The central bank’s purchase of long-term government bonds will reduce the supply of long-term government bonds in the market, while increasing the cash held by financial institutions.If long-term government bonds and cash are completely replaced assets for financial institutions, financial institutions will not use these cash to continue to purchase other securities, which will be deposited in the reserve account of the central bank in the form of excess reserves. Then the entire economy will fall into a liquidity trap, and quantitative easing will not have any impact on bond yields and other securities yields. But this is not the case. There is not a complete replacement between cash and long-term government bonds. Under the influence of the portfolio rebalancing mechanism, the large purchase of long-term government bonds will lead to a narrowing of the term spreads of all long-term assets, and long-term government bonds, corporate bonds and stock prices will rise.When the central bank purchases large amounts of long-term government bonds from financial institutions, long-term assets (long-term government bonds) are converted into short-term assets (bank deposits) in the portfolio of financial institutions, and the duration of the investment portfolio declines. 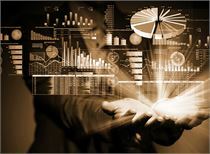 Many financial institutions, such asInsuranceCompanies and pension funds, which hold long-term liabilities, are more likely to invest in assets of the same maturity to match liabilities. Such investors will continue to purchase long-term assets using proceeds from the sale of long-term government bonds, including the continued purchase of long-term government bonds, or the purchase of higher-risk corporate bonds and stocks when long-term government bond supply and yield declines, re-strengthening the portfolio. Duration to match the duration of the liability. This mechanism will result in a decline in the yield of all long-term assets, including corporate bonds and stocks, narrowing of the term spreads and rising asset prices. Declining yields and rising asset prices boost the real economy in two ways: First, reduce financing costs and improve the credit environment. The second is to stimulate consumption through the family wealth effect.On the one hand, the decline in the rate of return reduces the financing cost of the enterprise, and at the same time reduces the default risk of the enterprise, which makes the supply and demand of credit both improved, stimulates the capital expenditure of the enterprise, and boosts the real economy from the dimension of expanding investment. On the other hand, the rise in asset prices has raised the ultimate holder of risky assets – the capital gains of households, more household wealth leading to more consumption, and boosting the real economy from the dimension of expanding consumption. Quantitative easing can inject sufficient liquidity into banks and stimulate the bank's credit business.Whether the central bank uses the base currency to purchase assets from banks or non-bank institutions, these base currencies will initially exist in the form of excess reserves of banks, which will enable banks to maintain sufficient liquidity and stimulate banks to increase loans. If the bank loses some assets during the financial crisis, then the bank may shrink credit or be forced to cash out some of the less liquid assets to survive the crisis. The large liquidity supplement brought by quantitative easing can also avoid these losses. Will China currently embark on the path of quantitative easing? Through the discussion of the quantitative easing roads in various countries and the analysis of its mechanism of action, under the premise that the interest rate policy is still valid, we expect that China will not adopt quantitative easing policy in the short term. The core of China's financial system is banks, and loan financing accounts for 67% of total social financing. Therefore, the current monetary policy more reflects the structural characteristics, and in this way encourages commercial banks to actively release credit. The wealth of a country depends on its production capacity in the long run. Due to the existence of rational expectations, quantitative easing can only solve short-term economic problems, and nominal variables cannot influence long-term economic growth.From Japan's quantitative easing road, we can clearly see that when an industry's industrial structure and economic system can no longer maintain the continuous growth of productivity, even through the continuous stimulation of quantitative stimuli, the effect is only a short-lived. This is the same as the well-known principle that the United States used inflation to reduce unemployment in the 1970s.QualcommUnder the expectation of inflation, it is necessary to increase inflation at a faster rate in order to maintain low unemployment and high output. The inflation rate in the United States reached 13% in the late 1970s. In order to get the economy back on track, the United States experienced a period of high unemployment. By the same token, quantitative easing can only be a monetary phenomenon in the long run. It only relies on the accelerated expansion of debt to stimulate the economy, and the lack of fundamental support for prosperity. At the apex of the debt cycle, the process of debt clearing will face more serious problems. as a result of. Quantitative easing is a crisis response mechanism, not a precise control mechanism.Although its potential risks have not yet appeared, it deserves attention. First, the long-term low interest rates maintained by quantitative easing will result in impaired bank profits and reduce the incentive to identify and offset non-performing loans. Second, the low interest rate environment allows insurance companies and pension funds to turn to higher-risk long-term assets in order to fulfill their profitability commitments, and to assume higher risks. In a stable financial market, this may be a positive for the economy, but in the event of a financial crisis, these investors will bear even greater losses. Third, if large-scale asset purchases push up prices and break away from fundamentals to form asset bubbles, the prices of these assets may fall suddenly. Fourth, if the central bank implements unconventional monetary policy to stimulate the economy for a long time, its independence may gradually be affected and become a political tool. The downward pressure on the economy in 2018 is mainly due to the rapid tightening of financing channels caused by the rapid de-leverage rhythm. The dredge of the monetary policy transmission mechanism is the key.There are many ways to get through the monetary policy transmission mechanism, and quantitative easing is not the only way to solve the problem. The core of China's financial system is the bank. The transmission mechanism of monetary policy should solve the three major constraints of bank credit: insufficient capital, liquidity shortage and poor interest rate transmission. Since last year, the central bank has issued a number of measures to support private and micro-finance, including multiple RRR cuts and TMLF to keep the liquidity of the banking system abundant, and to create CBS tools to help banks issue perpetual bonds to supplement Tier 1 capital. On the whole, the transmission of monetary policy has been marginally improved, and financial institutions' support for private and small and micro enterprises has increased significantly. China's interest rate regulation space is still in place, and the shift of monetary policy tools from quantitative to price is the general direction.From the experience of various countries, quantitative easing is used to cope with the recession brought about by the financial crisis after the failure of interest rate policy. China's policy interest rates, such as the MLF's operating rate, are 3.3%, and there is still a considerable distance from the zero interest rate floor. Interest rate instruments are still valid. The drawbacks of quantitative monetary policy tools are many. The biggest problem is that they do not conform to the laws of the market. They are often the result of policy makers making their heads, and sometimes there are moral hazards. Price-based instruments are better than quantitative tools in the normal market mechanism, so there is no need to adopt large-scale quantitative easing to affect the economy. Quantitative easing has the risk of pushing up the real estate bubble.Before the implementation of quantitative easing in the United States and Japan, stocks and real estate prices were oversold. One of the purposes of quantitative easing was to restore these asset prices to a reasonable level, thus realizing the restoration of financial market financing functions. In China, the prices of different assets are very different. The overall high price of real estate has become an important risk factor for the financial system. If the excessively loose monetary policy further pushes up speculative demand,House priceFaced with rising pressure, should we continue to strengthen regulation and control, distorting and staggering more reasonable living needs? Will the central bank buy government bonds? As far as the system is concerned, the central bank can purchase government bonds in the secondary market. We recognize that national debt will play an increasingly important role in future monetary policy instruments, but there is no need to purchase government bonds directly in the short term. There are many reasons. First, the core of China's financial system is banks. Credit creation relies more on bank credit. More financing problems are needed from bank credit. Second, the purchase of government bonds is generally used as a means of controlling the yield curve of the central bank. However, the long-term and short-term interest rates have dropped significantly after repeated RRR cuts. Continued downward adjustment may increase exchange rate pressure. Third, small-scale purchase of national debt can not directly affect corporate financing, and it does not solve the problem of private enterprises and small micro financing. Large-scale QE is also impossible to implement. Will the central bank buy stocks or ETFs? We believe that the central bank will not consider buying stocks or ETFs for two main reasons: First, the wealth effect brought by rising stocks is more likely to correspond to speculative demand, and it is difficult to flow into the real economy, which is inconsistent with our original intention to solve the current corporate financing problems. Second, the source of the long-term rise in the stock market is the low valuation and the increase in corporate earnings. The stock market rebound without fundamental support is likely to be short-lived. The stock price has a risk of rapid decline after the policy stimulus subsides, and the stock market will eventually return. To the real economy. From the experience of various countries, if there is no special need, it will not give priority to purchasing private sector rights to stimulate the economy. 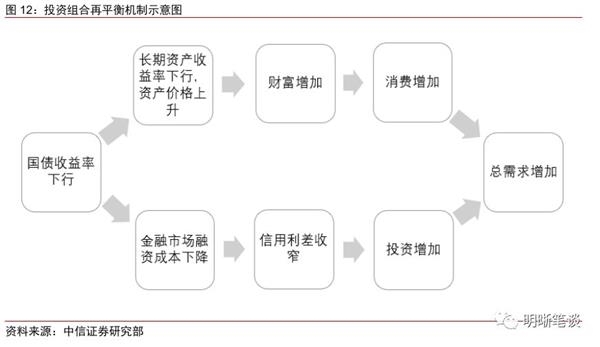 From the perspective of the monetary policy path of countries responding to the financial crisis, it is generally preferred to release liquidity, and then purchase secondary market treasury bonds, primary market treasury bonds, and finally choose to purchase private sector equity. Is the CBS tool a precursor to quantitative easing? The central bank released on January 24announcementThe created Central Bank Notes Interchange Tool (CBS) does not have QE attributes. A typical QE feature is that the central bank creates a base currency to purchase an asset. From a functional point of view, CBS allows banks to passPledgeThe way to convert the bank's perpetual debt equivalent into central bank bills, while the central bank bills can not be circulated, does not have currency attributes, can only be used as collateral to borrow funds, the total amount of base money has not increased or decreased. Central bank bills want to be converted into base currency, only as MLF, counterRepoThe collateral of the tool lends funds to the central bank, and these operations are entirely dependent on the central bank's subsequent policy plans and objectives, and are not related to the CBS tool itself. How will the central bank's monetary policy be deduced in 2019? In the Changan Forum, Mr. Yi mentioned that China's monetary policy should undergo a transformation from quantitative tools to price instruments, and improve macro-prudence, eventually forming a dual-pillar framework of monetary policy and macro-prudential.China's monetary policy is shifting from quantitative control to price regulation.Capital is a scarce resource, and interest rates play a key role in the market-oriented allocation of funds. Central bank policies are centered on interest rate regulation, so we must strengthen price-based regulation and transmission mechanisms. The biggest drawback of quantitative tools is that they do not conform to market rules. They may be the result of policy makers making their heads, and sometimes there are moral hazards. Affected by some historical factors, quantitative tools have not given up yet, but the overall trend of monetary policy is to shift to price-based regulation. 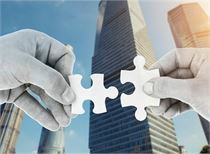 Establish a sound macro-prudential policy, and the direction of the new regulations will not change.The People's Bank of China has set up a macro-prudential administration, officially establishing a two-pillar operational framework, and macro-prudential policies will play a greater role. Before the subprime mortgage crisis, monetary policy aimed at regulating inflation gaps and output gaps achieved very good results. However, with the innovation of a large number of financial derivatives and the lack of bank supervision of its own risks, it has increased steadily in the United States.Long andThe hidden asset bubble under the inflation indicator expanded rapidly between 2000 and 2007. At the time, the US market was full of non-standardized products, such as floating-rate mortgages and uncredit-backed mortgages. These assets appear in large numbers in the process of bubble expansion, and the securities products derived from them are leveraged, nested at various levels, and systemic financial risks accumulate. The lack of risk control capabilities in the private sector and the low capital adequacy requirements of the “two rooms” are important reasons for the promotion of the bubble. In the long run, the gradual improvement of macro-prudential policies is the general direction, but more importantly, it is coordinated with monetary policy. At the same time as the quantity and price instruments are operated, the regulatory policies are also adjusted accordingly, such as MPA structural parameter adjustment, non-standard supervision, etc. Wait. The key to solving the problem of credit transmission mechanism is bank credit.Sun Guofeng, director of the central bank's monetary policy department, believes that banks are the core of China's financial system. Monetary policy needs to be more from the perspective of banks. Solving the problem of credit transmission mechanism depends on cracking the bank's constraints on creating deposits. First, the liquidity constraint, this constraint has been significantly weakened in the case of the central bank repeatedly reducing the release of funds. Second, capital constraints, financial supervision have corresponding capital requirements for different assets held by commercial banks. The central bank encouraged banks to issue perpetual bonds to supplement Tier 1 capital and introduced CBS tools to help them. This constraint has also been marginalized. Third, interest rate constraints, whether the loan can be loaned or not depends on the loan demand at the corresponding interest rate. 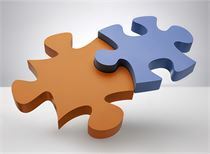 Interest rate integration is the direction to optimize the policy interest rate to the market interest rate transmission mechanism.At present, there are policy interest rates, market interest rates and benchmark interest rates in China's market. Among them, the transmission of policy interest rates to market interest rates is more obvious, but due to the existence of deposit and loan benchmark interest rates, the policy interest rate has hindered the transmission of loan interest rates. Also on behalf of financing costs, market interest rates and deposit and loan benchmark interest rates should be combined, in order to make policy interest rates play a greater role. 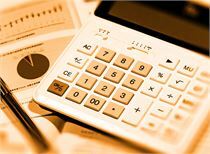 Considering that in the strict supervision environment of private and small and micro enterprises, financing depends more on bank credit. 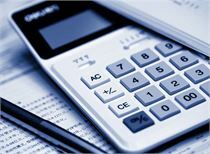 How to make the loan base interest rate and policy interest rate better combined is the key, so the benchmark interest rate of the loan is more in line with the market interest rate. urgent. 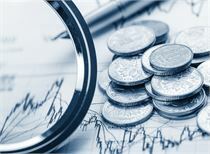 In the context of economic growth and financing contraction, the use of price instruments is expected to increase.The slowdown in economic growth has led to a lower level of real interest rates, while the actual financing costs of enterprises are still high, and the actual spread of the real economy has narrowed. It is necessary to directly reduce the financing costs by means of interest rate cuts. Specific to the use of interest rate cuts, under the premise that the interest rate is not yet completed, we believe that the central bank may cut the interest rate of financial markets and the yield of bonds by OMO interest rate cuts; the interest rate cuts of deposits and loans will lead to the decline of bank credit rates and the downward adjustment of the benchmark interest rates. More urgent. The RRR cut, interest rate cut, and loose regulation may be the order of this round of monetary policy. Only after the three steps are completed will the QE policy be considered.According to the monetary policy from quantity to price to macro-prudential thinking, the order of this round of monetary policy should be to reduce the rate to interest rate reduction and then to supervision (such as non-standard supervision, MPA), and will consider QE after three steps. In the media meeting of the central bank, Director Sun explained that the central bank’s monetary policy is to rank liquidity, buy and sell government bonds in the secondary market, buy government bonds in the primary market, and finally may be private sector interests. Steps are not legal now). Therefore, at this stage, the monetary policy has not yet reached QE, and more is the second and third steps that the e-governor said. The first step that Sun has said. In addition, monetary policy will more reflect the structural characteristics, and hope to incite (incentive) commercial banks to actively release credit through structural characteristics. QE, as a reserved unconventional monetary policy tool, may play a role when the economy is externally impacted or cleared at the top of the debt cycle.Yi Gang, the governor of the central bank, said: "Monetary policy should be flexibly adjusted according to changes in the economic situation, especially to strengthen counter-cyclical regulation. If the leverage ratio is relatively high, or asset prices are bubbled, the best strategy is to "slowly suffocate" soft. Landing "to achieve a smooth economic adjustment. When the market or the economy encounters external shocks, it should be timely to stabilize the financial market, especially to stabilize the public's confidence. This is a better regulation strategy." The Fed and the European Central Bank experience respectively Deducting the huge role of quantitative easing policy at the top of the debt cycle and encountering external shocks, it is worth learning by the central bank. The future expansion of the central bank is a high probability event, and the debt cycle determines the central bank's inevitable expansion.We are still in the bond market Qiming series 20190109 - need to cut interest rates? It is proposed that quantitative tools still need to rely on the smooth flow of money transmission mechanism, and the current RRR reduction effect is still limited to the financial system. In this case, monetary policy may face two options, one is to help credit creation by creating a new type of active table expansion tool, and the price tool is used on the other hand. In the credit contraction cycle, although the RRR reduction policy can release the funds available to the bank, the weakness of the demand side and the credit-derived block will cause the central bank's balance sheet to shrink passively (as in 2015). The central bank can create a new type of long-term active expansion tool. Help credit creation (such as OMO and MLF in 2016, the creation of TMLF is an attempt), and the creation of this CBS is intended to support banks to replenish capital and strengthen credit transmission. From the perspective of the debt cycle, the central bank should actively expand the table in response to the debt cycle. The central bank indirectly purchased special government bonds to finance the establishment of CIC.In 2007, the Ministry of Finance issued a total of 1.55 trillion special treasury bonds to financial institutions such as ABC. The Ministry of Finance uses the funds raised by special government bonds to purchase foreign exchange from the central bank. The central bank will sell foreign exchange to the Ministry of Finance to raise RMB funds and purchase special government bonds from financial institutions such as ABC. The actual result is that the central bank used foreign exchange assets to purchase the special government bonds of the Ministry of Finance, and the purpose of introducing financial intermediaries was to bypass the regulations that the central bank cannot directly hold government bonds. The subject was created by the special policy operations of the central bank during the historical period. In recent years, there has been no similar operation, so the balance has rarely changed. 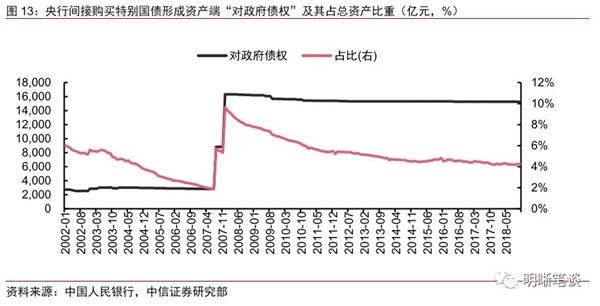 The central bank provided funds for the four major asset management companies and the securities company to expand the form in the form of refinancing.In 1999-2000 and 2004-2007, the central bank refinanced the four asset management companies of Dongfang, Great Wall, Cinda and Huarong, respectively, to help the four state-owned banks isolate bad assets and deal with suspicious classes in the bank restructuring process. loan. The most recent launch was in the stock market disaster in 2015, the central bank refinanced the securities company in order to maintain the stability of the stock market and financial system. In recent years, the central bank has expanded its table through reverse repurchase and innovative monetary policy instruments to hedge the impact of foreign exchange holdings on the base currency.In the 1980s and 1990s, re-lending and rediscounting were the main channels for the central bank to put liquidity. The proportion of “debt to other deposit-taking companies” in total assets reached 70.3% in 1993. However, with the sharp increase in foreign exchange holdings, the way in which major currencies were introduced changed, refinancing and rediscounting declined rapidly, and the proportion of total assets in the project fell below 5%. After 2014, foreign exchange accounted for the downtrend channel. The central bank created MTF, SLF, PSL and other monetary policy instruments to hedge the reduction of the base currency caused by the loss of foreign reserves, and the proportion of other depository companies' debts to total assets increased to 29.0%. MLF is similar to the European Central Bank's long-term refinancing operation (LTRO), which is similar to the ultra-long-term refinancing operation (VLTRO).China's innovative monetary policy tools MLF and TMLF were created with reference to the European Central Bank's LTRO and VLTRO. The traditional LTRO period is from overnight to 3 months. After the subprime mortgage crisis broke out, the ECB began to provide additional one-month, half-year and one-year long-term refinancing operations. In June 2009, the long-term refinancing operation (VLTRO) with a long term was introduced at the end of the fixed-rate one-year LTRO. In December 2011 and March 2012, the ECB conducted two-year long-term refinancing operations. The European Central Bank has repeatedly expanded the scope of eligible collateral after the subprime mortgage crisis.In October 2008, the European Central Bank will accept the rating of mortgage assets from A- to BBB-; in January 2011, it will implement a graded discount on BBB+ to BBB-level assets and accept lower-rated asset mortgages at discounts. In February 2012, the European Central Bank announced the expansion of collateral from multinational central banks to credit assets. In June 2012, the European Central Bank further relaxed the eligibility criteria for eligible collateral in the Euro system. 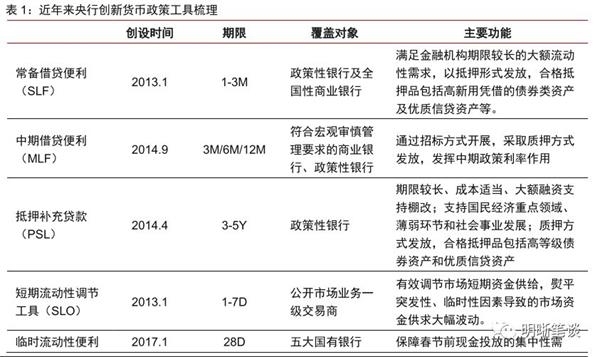 In June 2018, China's central bank decided to expand the scope of MLF collateral, newly included small and micro enterprises not lower than AA, green and "three rural" financial bonds, AA+, AA-class corporate credit bonds, high-quality small and micro enterprise loans And green loans. The Guaranteed Bond Purchase Program (CBPP) may provide a reference for China's innovative monetary policy tools.While expanding the refinancing market, the ECB has also introduced a guaranteed bond purchase plan to directly enter the primary and secondary bond markets to influence private sector financing costs. CBPP was introduced three times. The first phase (CBPP1: July 2009-June 2010, the European Central Bank bought 60 million euros of qualified guarantee bonds) aims to lower the interbank market interest rate and expand the non-financial sector. Credit. CBPP was not designed as a quantitative easing tool at this stage, and the ECB tried to maintain the balance sheet size by equalizing LTRO replacements, but did not fully comply with this principle. The RRR cut cannot directly affect bank credit creation.In contrast, an active meter-expansion tool that increases the supply of the base money will inevitably lead to credit expansion. The effect of the RRR reduction depends on the bank's use of excess reserves. Last year, the central bank repeatedly released a large amount of funds, but did not achieve the effect of wide credit. The reason is that in the case of generally low risk appetite, the funds released by the RRR are more in the form of excess reserves, and a large amount of liquidity stays inside the banking system, forming a “liquidity trap” and no way of passing credit. Conducted to the real economy. The increase of the base currency will inevitably lead to credit expansion. Therefore, the expansion of the instrument that directly injects the base currency into the bank is better than the RRR reduction in terms of wide credit. Long-term liabilities can stimulate banks' willingness to lend, but the monetary policy tools that form long-term liabilities of banks are relatively short.Banks are more willing to use long-term liabilities to match long-term risk assets, but in China's current monetary policy toolbox, there are relatively few long-term instruments. The RRR and refinancing period is longer, and refinancing may be one of the current options for wide credit, but in recent years the central bank has been more inclined to use pledges to provide liquidity to banks. In the innovative monetary policy tools of recent years, PSL has a term of 3-5 years. However, the investment is limited. The newly launched TMLF can be renewed for up to 3 years. The duration of other tools is 1 year or less. Based on the above analysis, we suspect that the central bank may introduce long-term active expansion tools to ease debt pressure in the future.The central bank has continuously achieved precise regulation and control of the economy through innovative monetary policy tools. It has become the norm in recent years. We believe that the central bank will continue to introduce new tools to alleviate the financing problems of private and small and micro enterprises after TMLF. We suspect that the new tool may be a structured active scale-up tool with a duration of three or more years. Although it does not involve quantitative loose direct asset purchases, it may extend collateral to a lower level or a specific range. Industrial debt. The decline of the Japanese economy began in the early 1990s when the asset bubble burst, stocks and real estate prices fell sharply, and the economy peaked in the mid-1990s.From the beginning of 1990 to the end of 1999, the Nikkei index fell by 49%, and commercial real estate prices fell by more than 70%. Corporate and bank non-performing assets have increased substantially, credit has shrunk, investment and consumer demand have been insufficient, real GDP growth has fallen from a peak of 7% to around 2%, and inflation has been below 2% for many years. In the 1990s, the Japanese government implemented the conventional monetary expansion policy and the expansionary fiscal policy. The monetary authorities cut interest rates continuously, and the government's public expenditures increased substantially, and the effect was not satisfactory.From 1991 to 1995, the Bank of Japan cut the discount rate nine times, from 6% to 0.5%, and the economy gradually stabilized. However, the good times did not last long. The 1997 East Asian financial crisis caused the Japanese economy to deteriorate again. In 1998, deflation began to appear. In March 1999, the Bank of Japan announced the implementation of a zero interest rate policy and promised zero interest rates until the economy went out of deflation. Although official interest rates and average interest rates on loans have fallen sharply, private investment and consumption are still sluggish. In response to the huge deflationary pressures caused by the crisis of the 1990s, the Bank of Japan took the lead in implementing quantitative easing with the goal of the reserve account balance (base currency).In 2001, Japan’s real GDP growth rate again approached zero, andCPIThen continue down to -0.8%. In March 2001, the Bank of Japan decided to adopt a quantitative easing policy to shift the money market operation target from overnight.Interbank interest rateChange to the balance of the reserve account of the commercial bank in the central bank, and maintain a reserve balance of 5 trillion yen by purchasing assets such as long-term government bonds (the previous balance of the reserve account is 4 trillion yen) to ensure a large supply of liquidity. Since then, the Bank of Japan has raised the reserve account balance target nine times, and adjusted it to 30-35 trillion yen in January 2004. In just three years, the total operating target has increased by six times. This goal has been maintained until 2006. The annual quantitative easing policy has withdrawn. The base currency has expanded substantially, but the broad money has been limited in increments, and the broad currency has not been transmitted to the private sector.The quantitative easing in 2001-2006 expanded Japan’s reserve balance by more than 7 times, but during this period the broad money only grew by less than 20%, government loans and foreign claims increased significantly, but domestic private sector loans are still falling, the central bank A considerable portion of the liquidity released (about 30%) is retained in the banking system in the form of over-preparation, while others enter the real economy through loans to the government and loans to overseas countries, and the credit channel to the private sector in the country is still shrinking. Phase 1: The unconventional monetary policy at this stage consists primarily of a moderate asset purchase program and forward-looking guidance.The Bank of Japan announced the implementation of an asset purchase plan of 5 trillion yen (which subsequently rose to 20 trillion, or about 4% of GDP). However, at this time, the European debt crisis, the global demand was weak, and the yen continued to depreciate. In this context, Japan’s economic recovery is weak, and inflation has long been locked around zero. In February 2012, the Bank of Japan once again increased its asset purchases by 10 trillion yen, hoping to stabilize inflation at around 1% without generating financial risks. The second stage: the stimulus of monetary policy was significantly improved after Abe was in power in 2012, represented by Quantitative and Qualitative Monetary Easing (QQE).The Bank of Japan has clearly set a 2% inflation target and promised to maintain a low interest rate environment, hoping to achieve this goal as quickly as possible. In February 2013, the Bank of Japan launched the first round of quantitative and qualitative easing QQE1, a large-scale asset purchase program that includes 50 trillion yen in national debt purchases and ETF purchases each year. Although inflation rebounded significantly in the following period, the deflationary pressure regained its dominant position at the end of 2014. The Bank of Japan had to start a second round of quantification and quality easing QQE2, increasing the annual purchase of government bonds to 80 trillion and the purchase of ETFs to 3 trillion. In addition, QQE1 and QQE2 also include real estate trust investment funds (REITs) of 30 billion and 90 billion yen respectively. 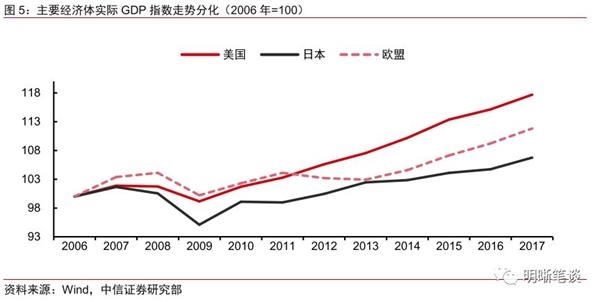 The third stage: As the economic growth slowed down and inflation fell, the Bank of Japan’s monetary policy continued to increase.Since 2015, received internationalOil priceWith the decline in China's demand, Japan's CPI continued to fall to around zero. Therefore, Japan has introduced a stronger monetary stimulus policy in 2016. In January 2016, the Bank of Japan announced that it would cut the reserve interest rate of financial institutions in the central bank to -0.1%. In September 2016, the policy framework for “yield curve control” was issued, and the long- and short-term interest rate was controlled as a policy goal. Japan's CPI bottomed out in the negative range in 2016 and has remained at a level of just under 1%.